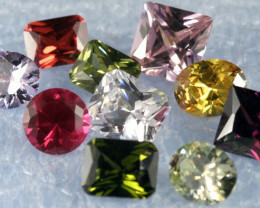 Cubic Zirconia can be cleaned with any conventional jewelry cleaner or detergent. With such a high hardness and durability, you can use a brush to clean off dirt or oil also. Ultra clean jewelry cleaners may also be used on CZ and will not damage the stone. However, when using soap leaving a film that will dull the brilliance of the stone. Cubic zirconia should be cleaned frequently to remove oils from skin that also dull the brilliance of the gem. Cubic zirconia is, as its name would imply, crystallographically isometric, and as diamond is also isometric, this is an important attribute of a would-be diamond simulant. Synthesized material contains a certain mole percentage (10-15%) of metal oxide stabilizer. During synthesis zirconium oxide would otherwise form monoclinic crystals, as that is its stable form under normal atmospheric conditions. The stabilizer is required for cubic crystal formation; it may be typically either yttrium or calcium oxide, the amount and stabilizer used depending on the many recipes of individual manufacturers. Therefore the physical and optical properties of synthesized CZ vary, all values being ranges. It is a dense substance, with a specific gravity between 5.6 - 6.0. Cubic zirconia is relatively hard, at about 8.5 on the Mohs scale - nowhere near diamond, but much harder than most natural gems. Its refractive index is high at 2.15 - 2.18 (B-G interval) and its luster is subadamantine. Its dispersion is very high at 0.058 - 0.066, exceeding that of diamond (0.044). Cubic zirconia has no cleavage and exhibits a conchoidal fracture. It is considered brittle. 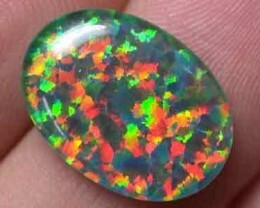 Under shortwave UV cubic zirconia typically luminesces a yellow, greenish yellow or "beige." Under longwave UV the effect is greatly diminished, with sometimes a whitish glow being seen. 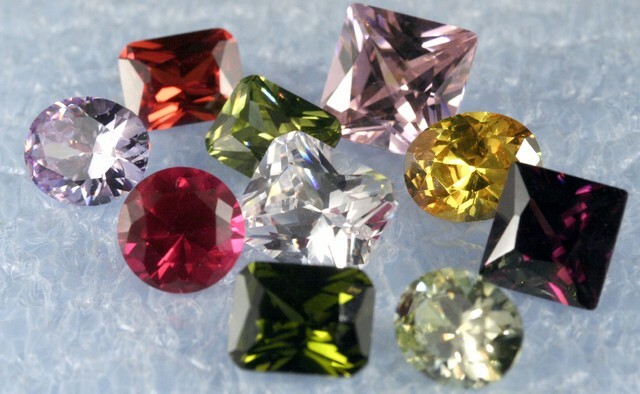 Colored stones may show a strong, complex rare earth absorption spectrum. caroldawson has not received any feedback yet!